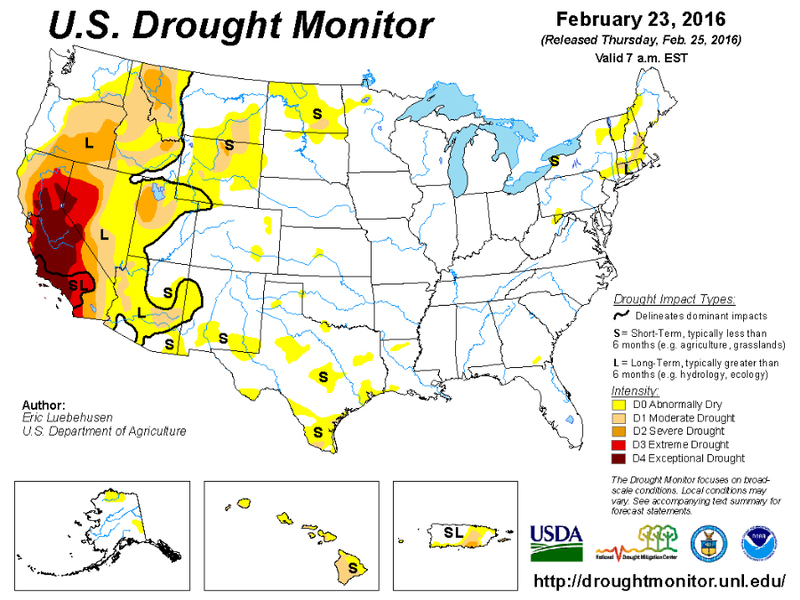 California's drought still remains, and the worst of it is still unchanged from last week. This follows a continuing trend of dry conditions returning to the West Coast. At the beginning of winter, there were high hopes this El Niño, one of the strongest in recorded history, would give California a much needed shot of rain water, something that's been in short supply for years. As the winter season went on, hopes for a drought-ending rainy season were scaled back, and most experts agreed this multi-year drought wouldn't likely end after a single season. After all, this drought took years to create, and it's not likely it would end after a single season. The drought conditions did improve slightly over the course of the rainy season. But now it's coming to an end, and the drought still lingers. The chances of a last-minute downpour ending the drought in the coming weeks are slim to none. 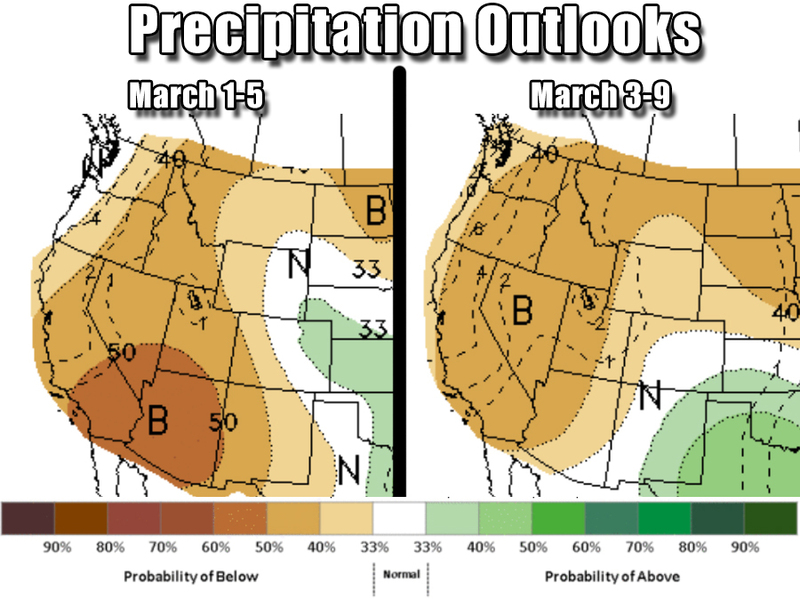 Long-term forecasts show nothing but dry conditions through at least the first week of March. So it appears we'll keep talking about California's drought for some time to come. And until then, the RadarCast App can alert you when the next round of rain is moving in.